3) It's fixed, you're done, good job you! the transparent texture is annie's hoodie, remember! Post subject: Code Geass "Zero"
After many hours of painting i finally finished Zero's mask. It took me way too long to do this; especially the costume. Want more skins? Click that http://aotskins.com/styles/1Game2/imageset/thankposts.gif button! "If I haven't had fear, then I also wouldn't have been able to know what it's like to have bravery in my heart. Bravery that awakens when you're being consumed by fear." The famouse Ruby Rose from RWBY by Rooster Teeth Productions. I worked a few days to make it look kinda okay in my opinion. Klick on the gear in the upper right corner of the gallery and then "Download full resolution". The third one. Sooo... yeah. here you go, i kept my promise.... most of dem nyahahaha. All three of them doesn't have their logo on it and it has other differences as well. I wanted mine to be more distinguishable from other ones, thus making mine genuine. Don't worry thou, its still quite decent if you ask. Here is it, this is my personal skin in RC Mod. Thought i would share it so all of you get to see what my character looks like ^.^. So next time if you saw a guy in this skin, it's probably me xD. Rise upon the crimson red sun and show no mercy to the titans. here you go, i kept my promise.... most of dem nyahahaha. All three of them that i released doesn't have their logo on it and it has other differences as well, but this one had the most different one. I wanted mine to be more distinguishable from other ones, thus making mine genuine. Don't worry thou, its still quite decent if you ask. 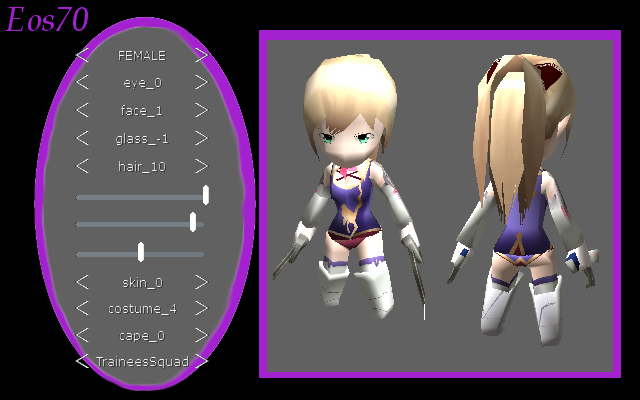 The male skin doesn't exactly sync up with the female model, so this costume should fix that. It has been addressed that Mikasa's model is slightly different, so here's one for just her. She is my favorite character in Soul Calibur because when I was a kid, I had a dumb reason for choosing her, but I like her prsonality to this day!! Crafted from the monster itself, this armor will most likely do nothing since it's from a different game, but you're free to pretend your the stealthiest killer in the jungle.